I can’t vouch for all app developers but for our own apps we are often berated, cajoled, mis-represented and sometimes even threatened by our customers in the App Store, using the one-and-only mechanism that Apple provides, the venerable 5 star rating and text review system. We are quite lucky and do receive quite a few 5 star ratings for our picTrove apps, and we do love reading through the written reviews; we go through each and every one of them, sometimes with delight and sometimes with pained expressions. Although Apple has, in it’s infinite wisdom, not yet given us any mechanism to respond to any of them (nor any easy way to see all of them together, without depending on a third party to aggregate them across all countries), it’s still fun to go through each and every one of them. When we came across the 5 star review (by a person whom we only know as BrainSaladSurgeon’s) of our picTrove app titled “A story with a happy ending”, we couldn’t help but laughing out loud in glee and delighted in the way the review was written. It is worth many, many times more than what every other customer paid for the app, because of the time and effort they put into it. You, Sir/Madam, have made our day! Once upon a time I was invested in the Pro versions of the PicTrove apps. The dividends were exceptional. I used them constantly. I came to understand that these were extraordinary apps. I concluded both apps were actually 1016% better than all the other image search apps to be found in iOS or Android. I was a truly contented man. It came to pass one day that I my PicTrove apps had ceased to work entirely, with no warning whatsoever. In the blink of an eye PicTrove had turned into app dung. I was horrified. I was mystified. The apps were worse than dung. Dung can be composted. I was lost, angry, and I even once lashed out in verbal rage at the creators. There was no response. It was as though they could not, or would not hear. I fell into deep depression. I grieved. Still I would check from time to time, but months passed. I eventually lost all hope and deleted the apps. Soon even their memory was gone, and I lived a life of mundanity, existing on inadequate apps that were little more than gift wrapped Google Image search, maybe with a little bow of Bing to make the folks who’d never known PicTrove think they really had something. Virtually all of these apps, particularly on iOS, not even permit the removal of search filters, so pathetic were they. My Joie de vivre was gone. Then today, an ordinary day, but for finding myself on a peculiar route into the App Store, via CNet Download. Why is not important, except insofar as that had something vaguely to do with an image search app, and it was a dead end. The app no longer existed. 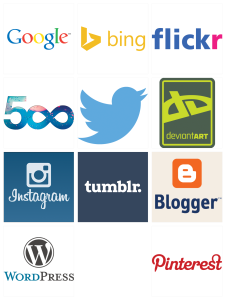 So long as I was there, I thought I might as well have a quick look at the image search app offerings there. It had been awhile. If PicTrove had even entered my mind I would have dismissed the the notion as certain to be a dead end as the non-app that brought me. So I was taken aback upon rather quickly encountering it there. I took a look at the reviews expecting to find only single star disappointments. To the contrary, five star happiness abounded! The invitation to Open was there. Should I do it? Should I risk reliving such a devastating experience? Telling myself not to expect anything but failure, I took the chance. I am so glad I did. I swooned in an instant with delight! Only one word describes the 12 hours since that moment: bliss! The happy man I used to be has returned! All praise to the creators! And I pray that you, image search seeker, will take that leap of faith I did. I know you will land in here with me, and we will dwell in the happy place together. Neither will you suffer a moment longer! To Mr./Madam BrainSaladSurgeon, we can only say that we’re honored to have a fan and a customer like you, kudos! 500px source now shows faster, better thumbnails and full photos now have maximum resolution, up to 2048 px! Get it while it’s hot from the iOS app store. To celebrate, we’ve made our older picTrove pro app free for this weekend, so go tell everyone about this as well! Search query customization improvements: One area where we’re always seeming to work on is search query customization. We feel that this is one of the most important features of picTrove - where it easily allows you to fit your exact image search requirements just by moving configuration sliders around. Flickr, Google, Bing images configuration now scrolls and thus works better in landscape orientations on phone devices. Improved Suggestions now offers better suggestions: We’ve redone the search suggestions internally, we’re hoping that you’ll find them to be faster and even more pertinent to what you’re looking for. Get the new update from the iOS App Store, now! We’re excited to announce that picTrove 2.4 is now available in the App Store. For this release we’ve concentrated on improving smoothness throughout the app, specifically in the key areas of thumbnail browsing and swiping between full photo views. The new full image pre-fetching feature is something which has to be experienced rather than seen, it’s mostly invisible! 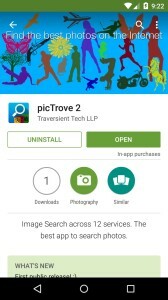 picTrove 2 now downloads full photos ahead of your browsing, so that when you swipe to the next full photo view, it is usually already downloaded, resized crisply for your device screen and ready to see. You will be pleasantly surprised to see how fast picTrove 2 is, now. Another major area which we’ve been asked by many users to look into is iTunes File sharing. We’re happy to announce that for the first time, picTrove 2 not only enables iTunes File Sharing, but it even tries to keep / guess the original file name of the image file as much as possible. You can turn on/off iTunes file sharing from the picTrove settings screen. Turning it off is provided as an option mainly with the intention of preserving security for those of you who use the pass code feature in picTrove. Please note that even with pass code turned on, if you turn on iTunes file sharing, then your otherwise protected photos will be available through iTunes without asking for the passcode. We’ve also added support for the Giphy animated GIF service. 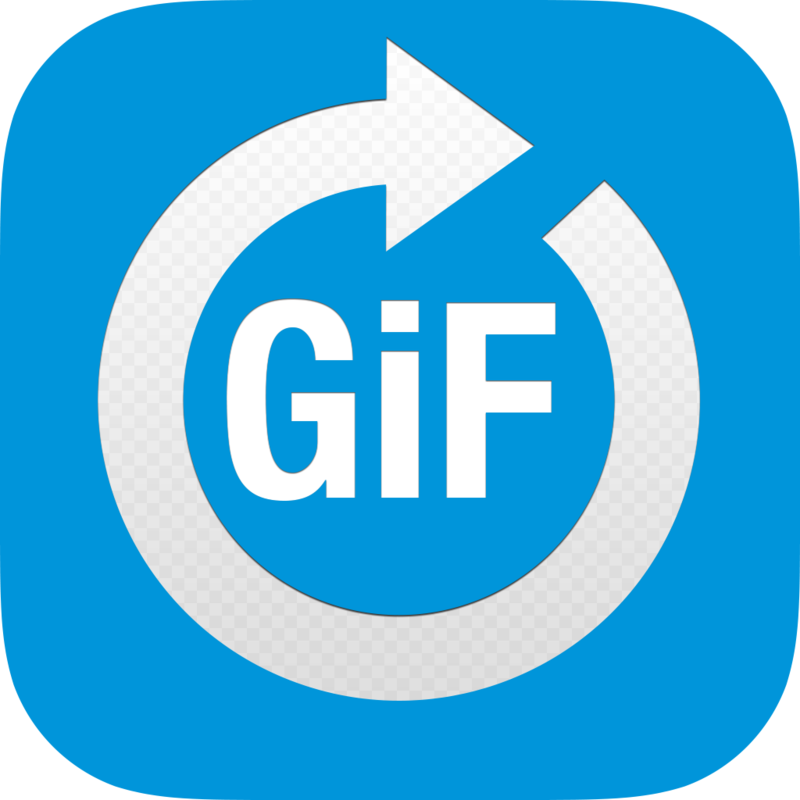 Also included in support for converting animated GIFs to video through our new GIFCon app, which is also now available in the App Store! There are many other improvements and features, go through below, or better yet, get the updated picTrove 2 version from the App Store, now and experience it yourself! Full image pre-fetching: Much improved experience swiping between photos in the full photo view. picTrove now downloads photos ahead of your browsing so you don’t have to wait! iTunes file sharing is now supported; you can copy all original saved photos in picTrove out to your computer, by syncing your device to iTunes. This can be toggled on/off in Settings screen for security. picTrove will attempt to retain original file names from URLs whenever possible. New search service, Giphy, to search for animated GIFs. You can now search for animated GIFs in Bing images. Major improvement in smoothness of thumbnails grid. It loads more results smoother, there is virtually no thumbnail flickering. Thumbnails fade in smoothly. Copy page URL, Copy image URL in web actions. New settings to turn off navigation hiding by scrolling in various screens. New setting to turn off OpenGL animated transitions. Support for converting animated GIFs to MOV videos via our new app, GIFCon. New URL launch API to search for only animated GIFs. Increased gaps between columns in multi-column search thumbnails. Increased gaps between toolbar buttons in full photo view. Reduced unnecessary scrolling in thumbnails with navigation in full photo view. picTrove internal web browser now allows iOS standard long press actions. We’re happy to announce that our new app, GIFCon, is now available in the App Store. It’s great to convert GIFs to MOV videos right on your iOS device and it’s an essential tool if you like GIFs. GIFCon imports GIFs from any iOS app that supports the iOS “Open in…” sheet. GIFCon also works great as a companion app to picTrove 2 to search, and import GIFs from it. GIFCon will also let you control the playback speed of the converted video, along with the number of loops it should run. It’s simple, straightforward and easy-to-use. GIFCon will maintain a photo library album in your device for you to save photos to, and also can post GIFs converted to MOV videos to Instagram. Get it from the App Store, here. We can barely contain our excitement as we announce the availability of version 2.3 of picTrove 2 pro. From the moment that they got their fingers on to picTrove 2 our customers have been demanding support for more services. This has always been something we’ve traditionally excelled at with picTrove, and today, we’re happy to announce that we’ve added direct search results from six new services in version 2.3! We didn’t just stop there, there’s a whole lot of new features and improvements, read through for the details, or better yet, get the latest picTrove 2 pro from the App Store, now! Native search support for Instagram and deviantART. Web search support for Tumblr.com, Blogger.com, WordPress.com and Pinterest.com. Read more about this on our Multiple Services page. New vertical layout option for browsing thumbnails from all services. It’s great (and is the default) on iPhone devices. iPad users can turn on the Vertical Layout option in the picTrove settings screen. New square thumbnail option for those who don’t like the mosaic / masonry grid view of thumbnails. Turn on this option in the picTrove settings screen and all thumbnails show up in an equally sized, square grid. Reworked slideshow mode with new OpenGL hardware accelerated transitions for the best effects possible. Reworked AirPlay mode for better performance. Reworked bulk export from picTrove saved photos to device photo library, now shows progress during the export. The thumbnail browser now tracks your navigation in the full photo view; when you come back from viewing a lot of photos, the last photo you were on is shown centered in thumbnail mode. Faster startup for users with a lot of saved photos in picTrove. Faster photo selection and drag-and-drop arranging in saved photos. Drag-and-drop arranging now also works even out of “Select” mode. We’re excited to announce availability of picTrove 2 pro version 2.2 for iOS 8 today! We’ve added major new features and the update is available for iOS 8 only. URL share extension: The new URL share extension lets you search a website while you’re browsing it in Safari or any other supporting app on iOS 8. You can search for photos on the website and even on the exact page you’re browsing. Read more about the search in website extension on the feature page. Photo library integration: We love the new Photos app on iOS 8 and we just had to show some love for it in picTrove 2 pro. The new photos library integration adds a direct button in full photo view to save to a dedicated album in your Photo library. There’s also a bulk export option within picTrove 2 pro’s Saved Photos area to save photos to the device’s photo library. Read more about it here. Open URL API: Finally, we’ve added support for openURL API in picTrove 2 pro. You can now launch picTrove 2 pro with URL actions to search photos from your favorite 3rd party launchers. The technical details are here. Completely redone internal networking gives picTrove 2 pro even more performance and stability benefits. Faster internal web browser to see a photo’s web page supports automatic navigation bar hiding. The new 2.2 version is available from the App Store, here. Please update as soon as you can and as always, tweet us or send us an email to let us know what you think, thanks! picTrove 2 pro coming soon on iOS 8! The most awaited iOS 8 is here. We love it too! So much so that, we’d like to announce that picTrove 2 pro is going to be iOS 8 only with our next release, with added iOS 8 only features! 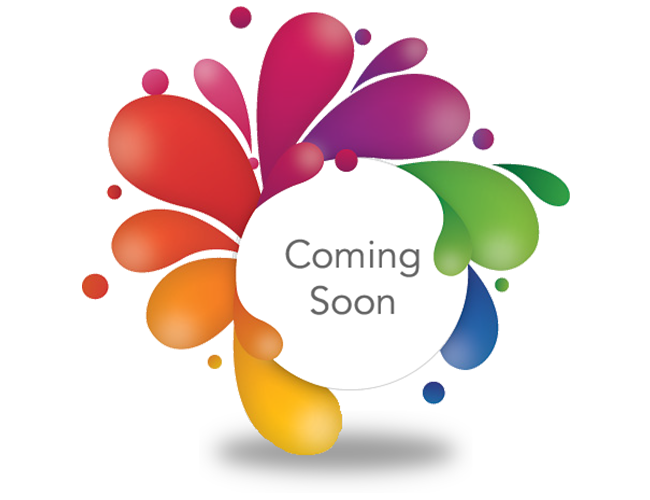 Keep watching this space for the latest updates. picTrove pro is free this weekend! This weekend, we’re celebrating the launch of picTrove 2 pro, our latest and the best app to search for photos on the Internet. To show our appreciation for all these years of image searching bliss, and to celebrate the new launch, we’re making the old picTrove Pro free for the weekend. So go ahead, download picTrove pro, and if you like it, please consider upgrading to picTrove 2. We intend to keep adding services and features to the new app as fast as we can. As always, we’d love listening to your feedback, so contact us or tweet to us anytime to let us know what you think.